Improve your tech skills and begin your journey down this rewarding career path! The Diploma of Information Technology (ICT50115) from TrainSmart Australia equips you with strong foundational skills in key ICT concepts and processes to give you the best possible start in your career. Learn skills that will help you get ahead! In our increasingly tech-dependent business world, demand for qualified professionals information technology field is always growing. Develop a strong foundation in computing, hardware, multimedia technologies, and operating and network systems. This course will teach you how to provide a broad range of IT support services to small-to-medium businesses such as networking, IT support, database development, programming and web development. You'll develop skills to administer and manage information and communications technology support, essential to any enterprise. Upgrade your CV and broaden your job opportunities without putting your life on hold. This flexible online course lets you fit study around your work and personal commitments; it's never been easier to build your knowledge of IT. 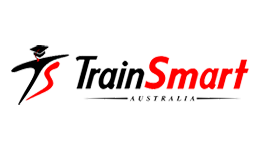 Upon successful completion of this course you will receive a Diploma of Information Technology (ICT50115) from TrainSmart Australia. With high demand for candidates with IT skills and knowledge, this qualification allows you to pursue roles ina range of information technology areas, including network management, systems design, software development and web application.